SPC Internet is an internet marketing and hosting company specialising in white label dating and web based applications. 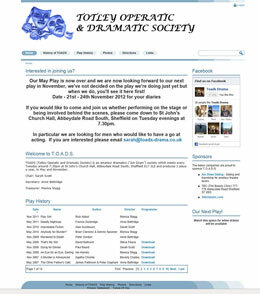 We currently manage a number of sites ranging from www.yorkshire-singles.co.uk to www.stitchtastic.com and www.toads-drama.co.uk. . In addition we provide internet marketing and software development for a select number of customers. We work closely with White Label Dating, the world's leading dating provider, to deliver complete dating site solutions. We've been in the industry since 1999 and have a wealth of experience in creating sites and promoting them using SEO techniques. Our overarching brand, Love 2 Date UK, has been featured on Channel 4's groundbreaking documentary series 'The Undateables' and encompasses a group of local dating sites, ensuring that customers can chat locally with other like minded singles, as well as being able to search further afield as part of White Label Dating's database of over 10 million members. We provide high quality hosting and email services to suit your business. We have a number of standard packages, or if you have specific needs, we will be happy to discuss these and tailor something to suit you. Cloud hosting for 100% operating system availability. High performance servers - we don't oversell a server. Websites and databases are backed up daily, accidentaly delete a file and we can recover it for you. Premium email system with state of the art anti spam and anti virus as standard. 9-5 personal support via phone and email (UK based). Stitchtastic has been designing, manufacturing and selling cross stitch kits and charts since 2006. SPC Internet designed an original e-commerce site which takes customers from a detailed search page right through to checkout, using sage pay. 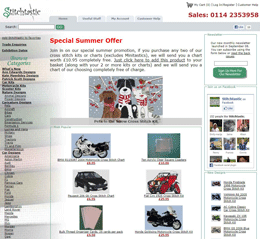 SPC Internet also designed back office software, ensuring that Stitchtastic can monitor the whole sales process. 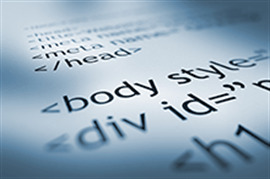 We provide individually tailored software development services to a select group of customers. Our software development team has a wide range of experience in developing web and desktop applications using Microsoft technologies and the Umbraco content management system.